Reducing human impact on nature. Preserve natural resources and enhance our rich local heritage. Our commitments were acknowledged when we obtained the official European Ecolabel awarded by Afnor Certification. This label is worldwide and is a definite warrant of environmental quality. This initiative concerns us all. Rainwater collection for on-site sanitation, washing machines, outdoor taps and strict water management . This initiative concerns us all, everyone at their level can contribute to the environment. Our team will be pleased to talk to you about our policies and actions whenever you like. A thermal survey will enable our architect to provide a detailed description of the different posts involved in order to comply with the regional specifications related to thermal improvement and saving (BBC 2012 standards ). We have finally chosen a log boiler facility with 8 radiators heating 220 m2 at low temperature in La Grange.La Longère will be equipped with a wood pellet boiler and 2 log boiler burning stoves. 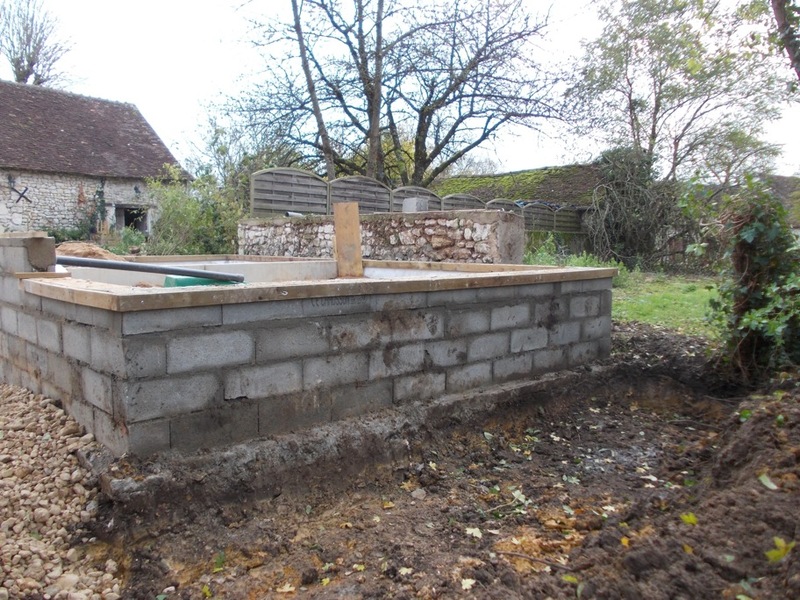 The thermal rehabilitation of the Longère has led us to replace our oil boiler by a Wood pellet one with a log boiler burning stove adding extra cosiness in the main room on the ground floor. 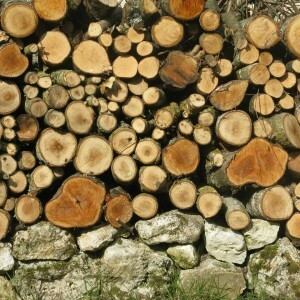 Wood comes from an PEFC accredited supplier, It is delivered dried and cut in 50cm logs on 1,5m3 pallets. Wood pellets are local and regional. They are packaged in 15kg bags ; stored in the boiler room in a 300kg container lasting for a week. The two fireplaces of the Longère were fitted out with wood stoves with an 8kg heating capacity enabling a real thermal efficiency, acting as a supply heating to the central system and adding an extra cosiness to the house. The renovated roofs covering 250 m2 allow us to collect rainwater. 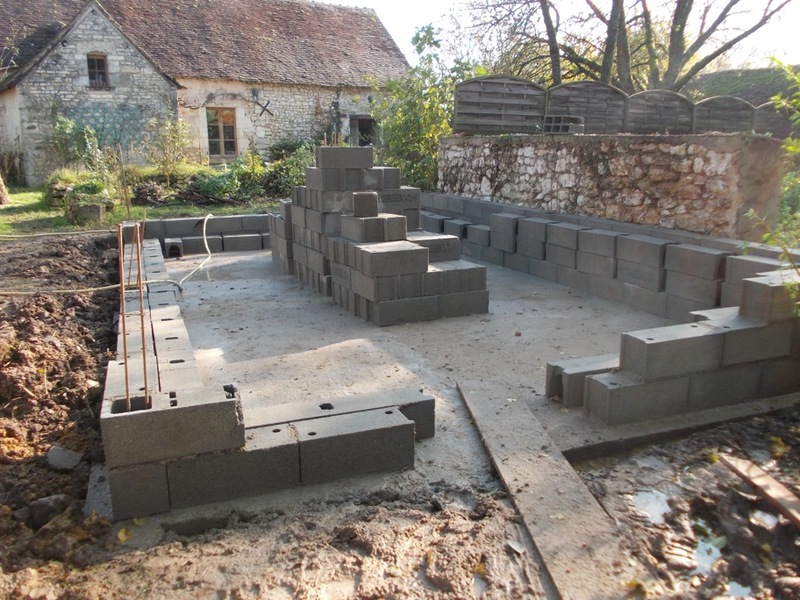 We entrusted the project to a company called Loiretpluie. 2 vats are buried , water is filtered first and then is redistributed in the network. A technical cupboard enables filtering and triggers an alarm when the vats go empty. 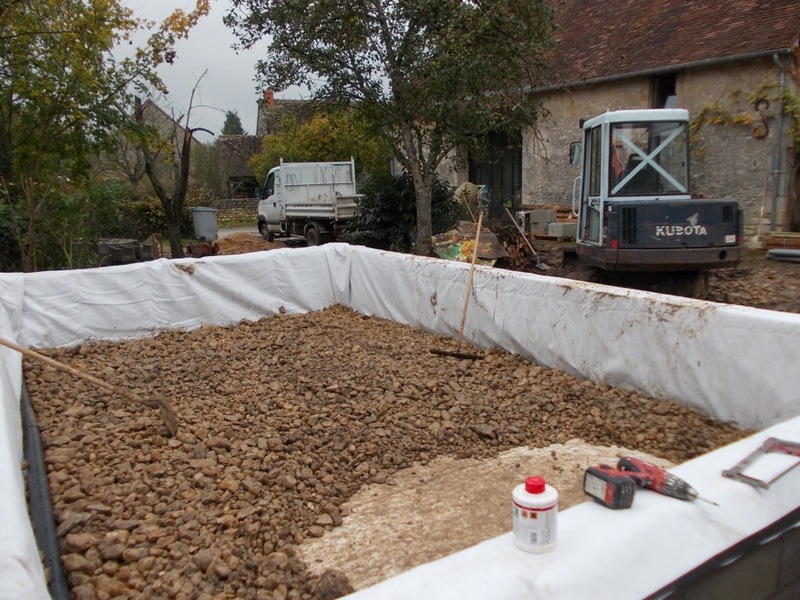 Earth levelling works were carried out by the Rouché company . We soon came to realise that the soil was mostly clay. Vats were weighted down then positionned in a cascade, an overflow empties itself out into the rainwater manhole. In one of the two 7500 litre vats, an immersed pump distributes the collected water all the way to the technical cupboard located in the technical room of La Grange. 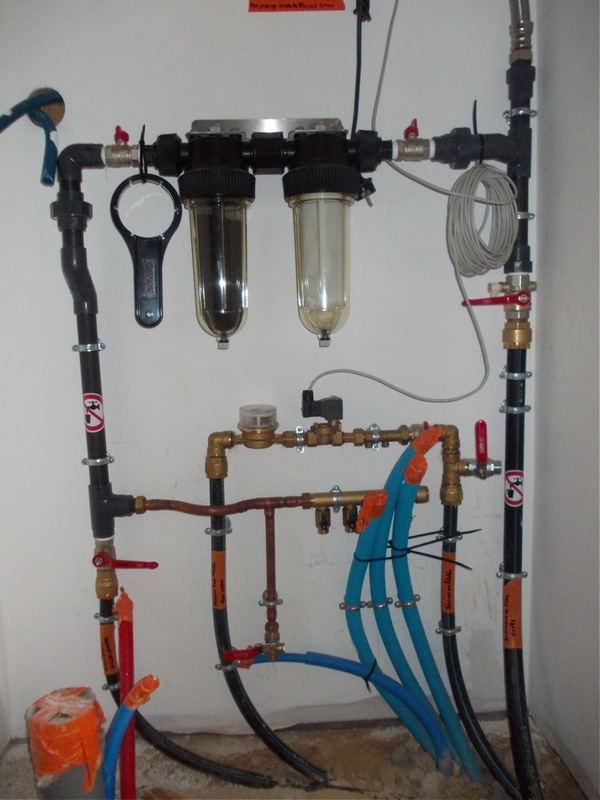 Rainwater is treated by a carbon filter and a serial ceramic filter . 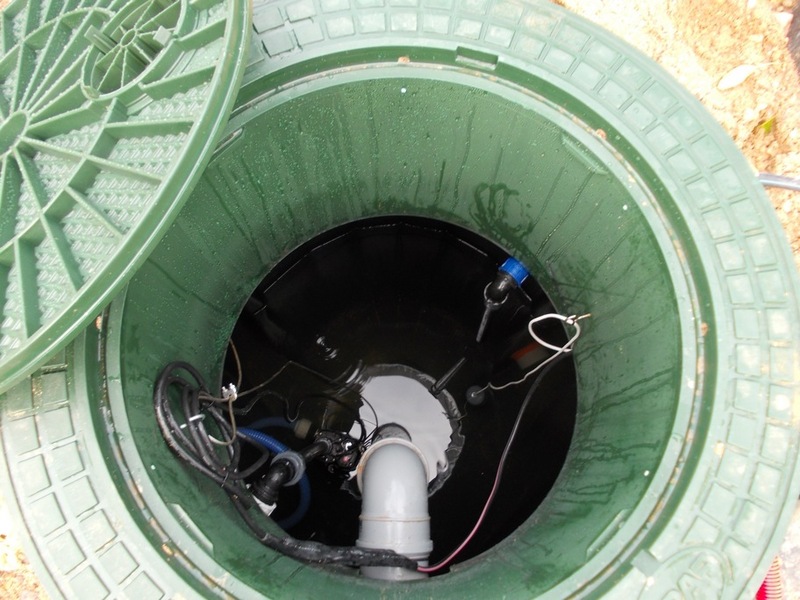 In case vats go dry, an alarm detector triggers an electro-valve and the vats fill up automatically with the network water. 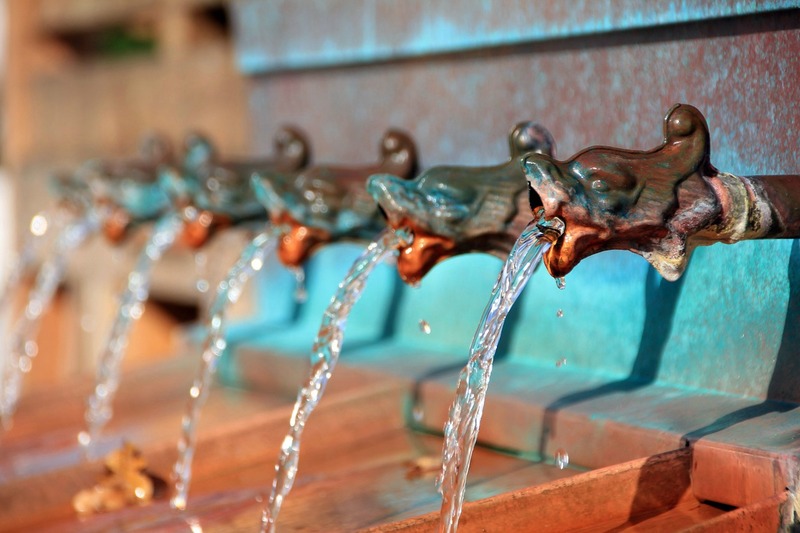 The rainwater network covers the 3 toilets of La Grange and La Longère, the utility room, the supply of washing machines, dishwashers and outdoor taps. A professional installed the whole network and we obtained the « qualipluie » quality label offers compliance warranties with existing laws. 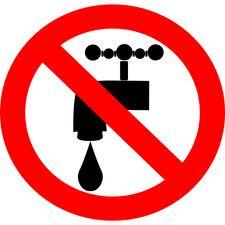 This water is not drinkable. Pouligny St Pierre council hasn’t yet supplied every village household with selective recycling containers. There is only one place with a garbage container and containers for glass and paper. Yellow bags are stored in the same container as grey bags. 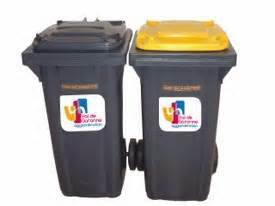 Local authorities still don’t take the responsibility of eliminating dangerous waste. 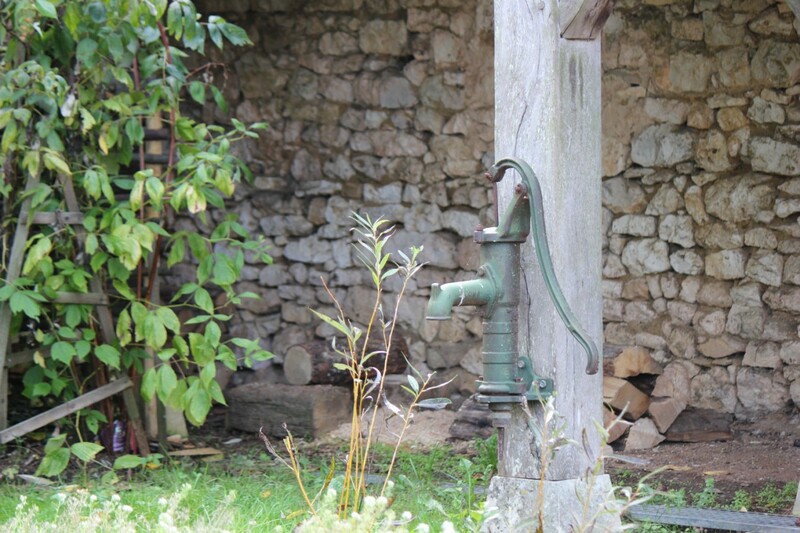 Every gite is equipped with a minimum of 4 selective waste recycling including the traditional garbage container. Sustainable development implies necessarily to rethink our transport and mobility from the point of view of environment and lifestyle protection. For short journeys there are other ways to travel than driving: the Douadic village ( bar, grocery shop) is only 4 kms away from our gite and the Le Blanc town (with all the facilities) 10kms away using the green path from Pouligny Saint Pierre. 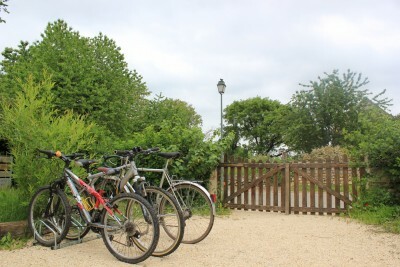 The Maison du Parc has set up many bike trails wandering through La Brenne area ; one road section of the itinerary goes through La Boudinière hamlet. On horse back it is also ideal to discover our nature park. The view is even more beautiful when you are higher up ! You can discover our heritage on a horse, on a poney or on a horse drawn carriage. In the « Brenne à cheval », Brenne on horseback framework, the park offers itinerant tours from 2 to 7 days, adapted to horse riders, using accommodation partners who signed a quality welcome carta called » « charte d’accueil randonnée à cheval ». In the two bike sheds ( Longère et Grange ) you will find basic repair kits and precious information and accessories for your rides. Our guests with their own bikes will be able to store them there and our Company will also have some bikes available to be lent or let. 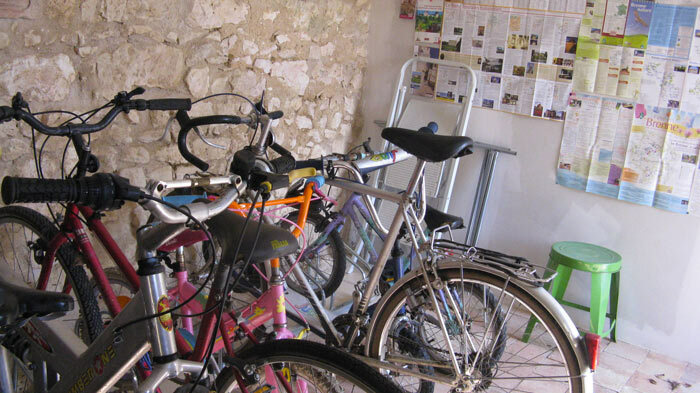 The Tourist office Du Blanc offers bike rentals, trailers for children, mountain and electric bikes. The building short-circuit energy networks , a key development actor of the Brenne. 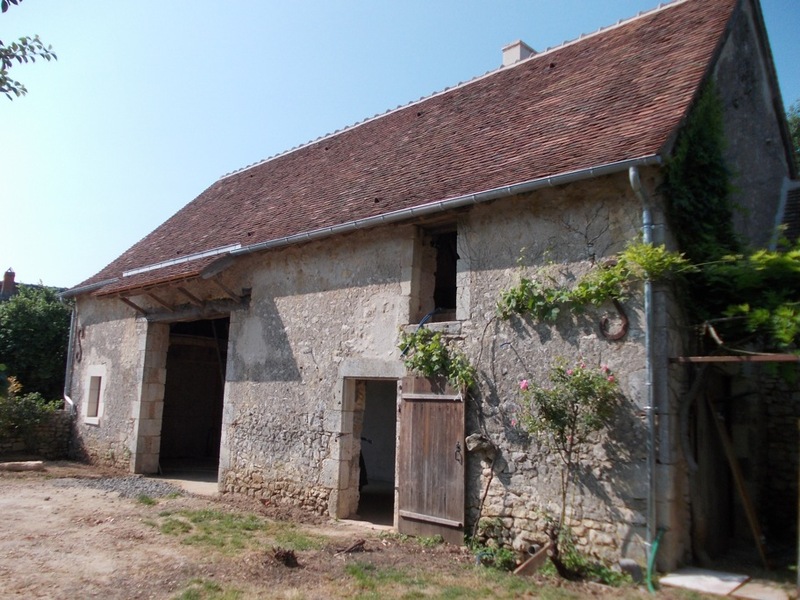 Extract from publication Number 180 summer 2011 in country farmhouses in France. "We use tiles, soil, sand, chalk , stone and wood to improve insulation, thatch : straw: linseed, hemp and gorsebush.."
Our partnership with the local Nature Park aims at bringing together local artisans and entrepreneurs who use local materials and use traditional techniques. 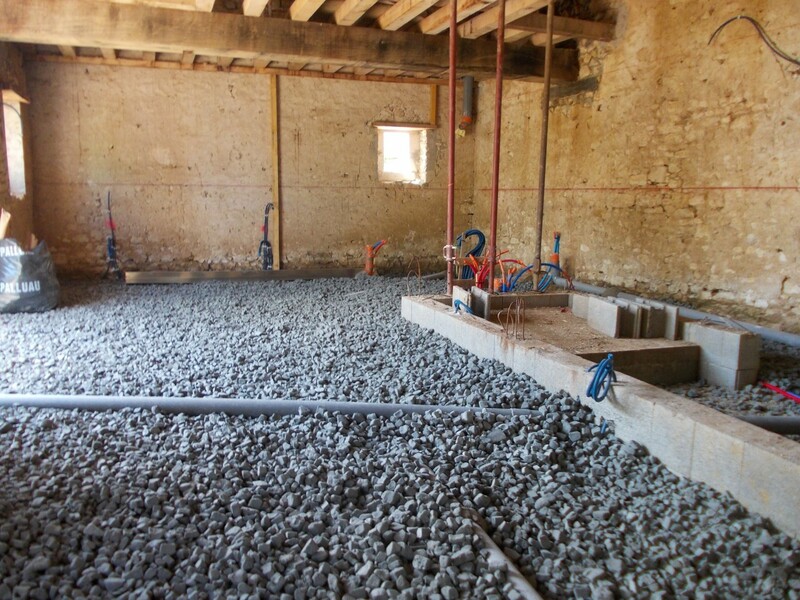 Clay concrete was used as a filtering substrate on the ground floor. 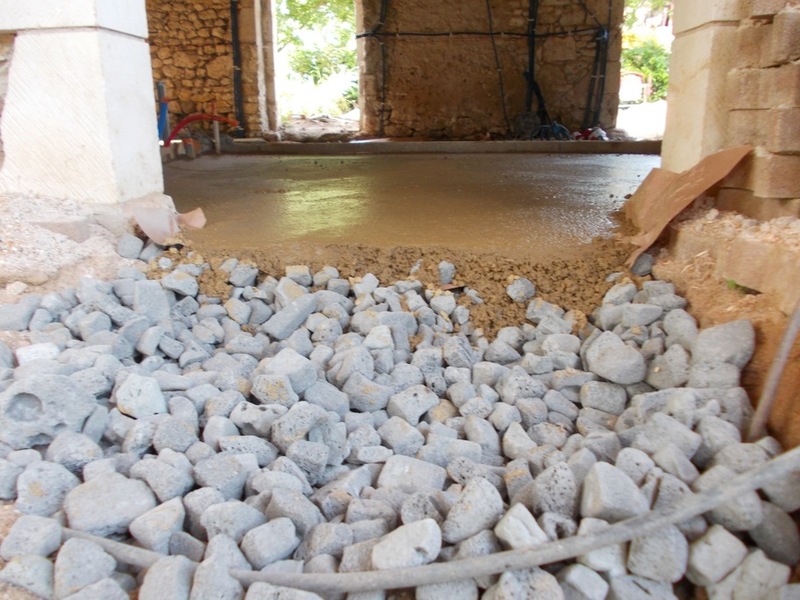 It was manufactured on a lime screed using Technopor recycled glass foam with excellent compression and hydrophobic properties, there is a coherent thermal emission. Floor is tiled with local terracotta tiles. The floor is made of compressed straw slabs "Stramentech " ( 22 kg/m2 ) manufactured locally with straw coming from Champagne Berrichonne. 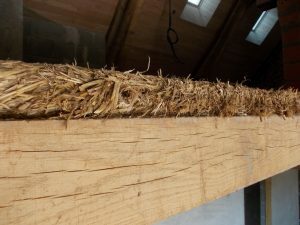 Local hemp production ( Challais ) used for roof insulating ( boxes ), building 12cm wide half timbers for wall insulation facing south, east and west. South side of the roof insulated by local recycled tiles.e fermacel. 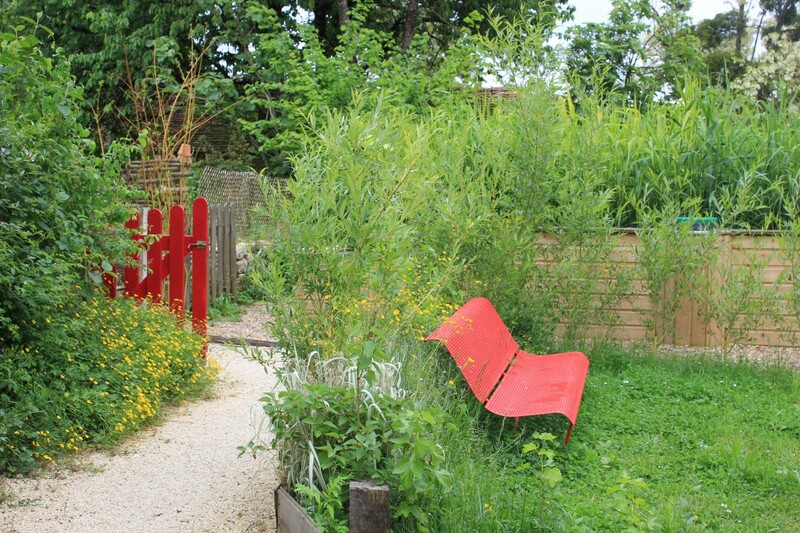 Sanitation by plants is an interesting alternative to consider for a building project as well as a renovation project. 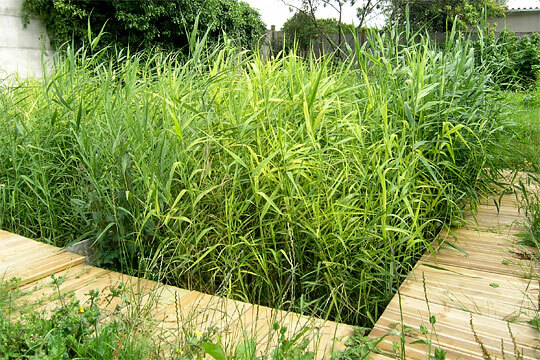 An ecological, autonomous, aesthetic, efficient and innovative system costing no more than a traditional installation. 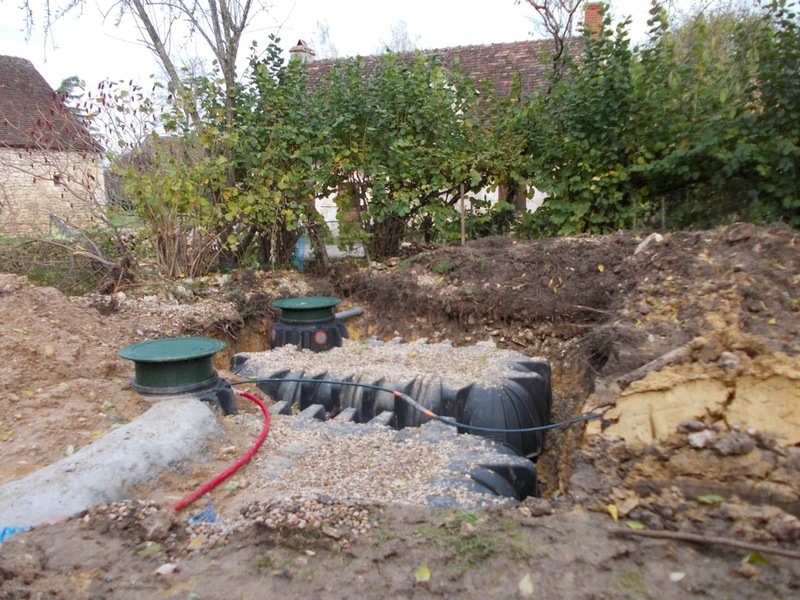 The 25m2 lime screed is located in a former « lost well » and is half-buried following a permeability study of the soil . It can bear the charge of 18 equivalents / inhabitants.